The "South Caucasus" has a strategic locational advantage by connecting Europe with Asia and the Middle East. After the collapse of the Soviet Union three internationally recognized independent states — Armenia, Azerbaijan, and Georgia — emerged in the region and all three pursues distinctively different foreign policy goals since their inception. Due to Nagorno Karabakh conflict, Armenia has no relations with Azerbaijan and Turkey and is isolated from regional infrastructure projects. Armenia is a member of the Collective Security Treaty Organization (CSTO) and Eurasian Economic Union (EEU), firmly brings the country within the Russian sphere of influence. In accordance with the Russian Federation’s obligations within the CSTO framework, a Russian military base has been operating since 1995 as the 102nd Military Base of the Group of Russian Forces, situated 120 kilometers (75 mi) north of the Armenian capital, Yerevan, and at the same time, a contingent of Russian forces based out of the same base works in conjunction with the Armenian Border Guard to secure latter's borders with Iran and Turkey. Simultaneously Armenia is developing partner relations with the U.S., EU, and NATO. The country has signed a Comprehensive and Enhanced Partnership Agreement (CEPA) with the EU in November 2017 and has been granted a GSP+ system which allows thousands of Armenian goods to be exported to the EU with zero tariffs. Currently, Armenia–NATO relations are regulated by the Individual Partnership Actions Plans (IPAP), first of which was signed in 2005. Also, since 1991 US has allocated more than US$ 1 billion assistance for Armenia, making it number one international donor. The recent political upheaval in Armenia resulted in resignation of Prime Minister Serzh Sargsyan (Sargsyan was President in 2008-2018, in 2015 Constitutional amendments transformed Armenia from Semi Presidential to the Parliamentary Republic with Prime Minister becoming the de facto head of state) and the election of opposition leader Nikol Pashinyan as Prime Minister on May 8 will not bring significant changes in Armenian foreign policy. Lately, Georgia has been pursuing negotiations, aimed at joining the NATO and EU as a full-fledged member. This policy was accelerated by President Mikhail Saakashvili who came to power in 2004 after the Rose revolution. His view has been explicitly expressed on several occasions as links to the United States, EU and NATO have been strengthened in an attempt to move away from the Russian sphere of influence. 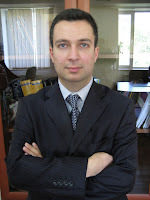 On the other hand, as a result of 2008 Russia–Georgia war and recognition of Abkhazian and South Ossetian independence by Russia, relations with Moscow are almost frozen. In 2012 opposition Georgian Dream coalition won parliamentary elections and in autumn 2013, consequently, President Saakashvili left the country after finishing his second term. Despite the efforts by new Georgian authorities' — to normalize relations with Russia by pushing for some improvements including the re-opening of Russian markets for Georgian wine and other agricultural products, no significant breakthrough has been made due to on-going Abkhazia and South Ossetia issues. Later in 2014, Georgia signed an Association Agreement with EU and granted visa-free travel regime. However, neither EU nor NATO is ready to grant Georgia membership in the foreseeable future. Georgia, as a country actively positions itself as a reliable transit country connecting Azerbaijan with Turkey and further to Europe. Baku – Tbilisi – Jeyhan oil and Baku – Tbilisi – Erzurum gas pipelines as well as Baku – Tbilisi – Kars railway are good examples of Georgian transit capacities. The recent launch of the Southern Gas Corridor which will bring additional volumes of Azerbaijani gas into Turkey and Europe via TANAP and TAP pipelines is another proof of Georgia’s significance in regional geopolitics and geo-economy. 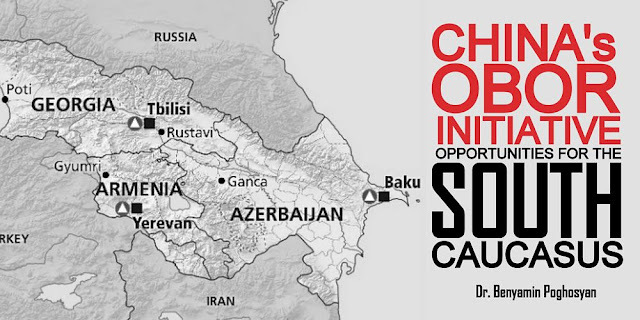 Azerbaijan is positioning itself as both oil and gas producer and potential transit route for Central Asian energy recourses to flow towards Europe bypassing Russia, thus being able to contribute to the decrease of Europe’s dependence on Moscow. Simultaneously, Baku is in close cooperation with Russia and Iran to launch "North-South" international transport corridor which will connect Indian metropolis, Mumbai to Northern Europe via Iran – Azerbaijan – Russia route. The existence of tens of millions Azeri speaking population in Iran is a significant factor boosting Azerbaijani role for the U.S. and Israel, in their struggle against Iran. In the recent past, Azerbaijan had rejected EU's offer to sign an Association Agreement, meanwhile, the country is also not interested in membership into Eurasian Economic Union — seeking to keep a balance between Russia and the West. Azerbaijan regional policy is totally based on its strategic alliance with Turkey, taking the latter's support in isolating Armenia (as a result of Karabakh conflict). All the above-mentioned three South Caucasus states are interested in boosting their international cooperation and expand their relations with other significant actors besides Russia and the West. Given the economic downturn in Russia and the EU internal problems — Armenia, Azerbaijan, and Georgia are keen to involve additional international investments to foster their economic development. In this context, China’s "One Belt, One Road" initiative is perceived as a significant opportunity. All three states are seeking ways to be included in this initiative. There are two projects which are passing through the South Caucasus and have a potential to be included in OBOR. One is "Trans–Caspian International Transport Route" which starts from China, runs through Kazakhstan, Caspian Sea, Azerbaijan, Georgia and then to Europe either via Georgian Black Sea Ports or via Turkey using Baku–Tbilisi–Kars railway. This option gives an opportunity to transport goods from China to Europe circumventing Russia. The Aktau Port in Kazakhstan, Baku Port, Batumi Port in Georgia is key spots for this project. In late 2017 Georgia launched construction of Anaklia deep sea port which should increase the transit potential of this route. In May 2017 Georgia and China signed Free Trade Agreement which should boost bilateral trade as well as transit. Both Azerbaijan and Georgia are members of the Asian Infrastructure Investment Bank. The Chinese-led Asian Infrastructure Investment Bank (AIIB) has provided US$ 600 million in loans to Azerbaijan for construction of TANAP gas pipeline and US$ 114 million in loans to Georgia for Batumi bypass road project. The second project is "Persian Gulf – Black Sea" multimodal transport corridor which envisages connecting Iran with Europe via Armenia and Georgia. Iran, Armenia, Georgia, Greece, and Bulgaria are key members of the project. Negotiations have been launched in 2016 and the agreement will be signed till the end of 2018. One of the key issues in this project is a modernization of transport infrastructure connecting Armenia with Iran and Georgia. And, the current economic blockade imposed on Armenia by Turkey and Azerbaijan have left Armenia's other two neighbors, Iran and Georgia, as its's only two land routes to the outside world. Erstwhile Armenia – Iran railway which passes through Nakhijevan (Azerbaijan) is closed due to on-going Nagorno-Karabakh conflict. In 2012 through Asian Development Bank loan (later, EU's Neighbourhood Investment Facility (NIF), the EIB also joined in) Armenia launched the 556-kilometer (345.4 mi) North-South Road Corridor project which will connect Armenia – Georgia, and Armenia – Iran borders facilitating transit via Armenia. The corridor running from the border with Georgia at Bavra to the border with Iran at Meghri via the cities of Bavra, Gyumri, Ashtarak, Yerevan, Goris, Kapan, and Meghri. In December 2017, Meghri Free Economic Zone (FEZ) was inaugurated as a part of the project in the southern Armenian town of Meghri bordering Iran, which, in turn, complements Aras Free Economic Zone in Iranian side. In addition, a 145 kilometers (90 mi) stretch of road along the corridor between Yerevan and Bavra will be rehabilitated. Given the significant role of Iran in OBOR, currently, Armenia is seeking ways to connect "Persian Gulf – Black Sea" corridor with OBOR thus establishing additional China - Europe transport route passing through Iran, Armenia and Georgia. As the EU and China are struggling to keep Iran nuclear deal alive after President Trump decision to leave the agreement, there is a potential of expanding economic cooperation between Tehran, Beijing, and European countries. It may increase the Iran–China, and Iran–Europe trade making this additional route commercially viable, especially taking into account the signature of CEPA between Armenia and EU and Georgia–EU Association Agreement. Another opportunity for China is to establish the manufacturing capacities in Armenia and export production with zero tariffs both to EU and EAEU, especially to Southern Russia. This will create additional volumes of goods which may be transported through Armenian infrastructure. Armenia, Georgia, and Iran may jointly start negotiations with China to include "Persian Gulf – Black Sea" project into OBOR initiative potentially involving Chinese investments in transport infrastructure modernization programs. Thus, OBOR initiative may create additional possibilities for the South Caucasus states to diversify their economic dependencies and include additional foreign investments to boost local economies. As for China, the transit routes passing through the region will establish additional possibilities to increase its economic influence both in the Post–Soviet space and the Middle East and diversify its trade routes towards Europe.